Siobhán Doolan hit a last-minute winner for Wexford as LWSSL / Limerick FC started their FAI Women’s Under-18 Interleague campaign with a narrow 2-1 defeat at Regional United’s grounds in Dooradoyle on Sunday. Both sides produced some top-class football and it was evident from early on that there was going to be little between them. Both goalkeepers were outstanding, with Misha Noonan of Limerick WSSL making some excellent saves from the lively Wexford strikers. Wexford’s Gráinne McCabe gave a top-class display of goalkeeping throughout the game, frustrating the Limerick WSSL attack with her performance, and rightly was player of the match. After a scoreless first half, Wexford eventually broke the deadlock when Doolan scored shortly after the break following some good build-up play. However, the hosts battled back and levelled with 15 minutes remaining through a long-range effort from Jasmine O’Doherty. When it looked as if the teams might have to settle for a point apiece, Doolan got on the end of a Natasha Byrne cross to score in the 90th minute and earn Wexford an opening-day win. There was no time for Limerick WSSL to respond and Wexford held on for a hard-earned victory. It was tough luck and a very disappointing result for the Limerick girls who gave it their all but unfortunately it was not to be their day. 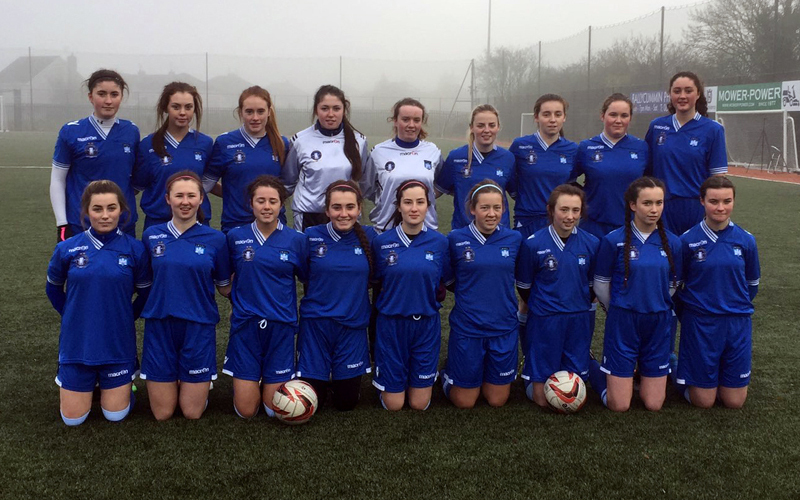 Next up for the LWSSL Under-18 squad is a home game against Cork WSSL on Sunday 5 February. Limerick Squad: Misha Noonan (GK), Sabrina McCarthy, Niamh O’Byrne, Jasmine O’Doherty, Áine Cooke, Sarah Jane Barry, Rebecca Joyce, Claire Kelly ©, Nicole Bennett, Kelly Walsh, Anna Madigan, Ciara McCarthy (GK), Esra Kangal, Nicole Lammond, Aoife Floyd, Leah O’Carroll, Jordan Heffernan, Shannon Murphy. Wexford Squad: Gráinne McCabe, Allanah Anglim, Lauren Roche, Chloe Mythen, Chloe Moynihan, Linda Bradley, Aisling O’Gorman, Natasha Byrne, Niamh Browne, Britney Conroy, Siobhán Doolan, Leah Furlong, Laura Rice, Meghan Kane, Rachel Scannell, Doireann Kavanagh, Sandra Murphy. Report details thanks to Declan McDermott (LWSSL).